90. Dawn Kingsbury, Liping Sun, Yijun Qi, Jorrell Fredericks, Qun Wang, Michael Wannemuehler, Albert Jergens, Karin Allenspach. Optimizing the Development and Characterization of Canine Small Intestinal Crypt Organoids as a Research Model. In preparation. 89. Brittney Reding, Prerana Carter, Zhe Li, Yijun Qi, Yue Wu and Qun Wang*. Nanosheet for Stimulation of Intestinal Organoids. In preparation. 88. Matthew Schaschwary, Alex Hall, Martin Asama, Qun Wang*. Optimization of Aerosol Based Characterization Method for Aqueous Foaming Solutions. In preparation. 87. Zahra Davoudi, Prerana Carter and Qun Wang*. Nanoparticles for Transdermal Drug Delivery. Wiley Book Chapter Invited. In preparation. 86. Shukun Tang, Guangtian Wang, Xiaoying Liu, Yijun Qi, Xiaohui Wang, Na Wang, Minghui Li, Mingming Lian, Yachao Ren, Haisheng Peng, and Qun Wang*. Soft Materials as Biological and Artificial Membranes. Submitted. 85. Liping Sun, Yijun Qi, Jorrell Fredericks, Albert Jergens, Michael Wannemuehler, and Qun Wang*. Effect of Cytokines on the Growth of Miniguts of Altered Schaedler Flora and Conventional Mice. Submitted. 84. Liping Sun, Yijun Qi, Jorrell Fredericks, Albert Jergens, Michael Wannemuehler, and Qun Wang*. Studies of Miniguts Isolated from Altered Schaedler Flora Mice with Defined Microbiota and Conventional Mice. Submitted. 83. Yijun Qi, Jo Lohman, Kaitlin M Bratlie, Nathan Peroutka-Bigus, Bryan Bellaire, Michael Wannemuehler, Kyoung-Jin Yoon, Terrence A Barrett, Qun Wang*. Vitamin C and B12 as New Biomaterials to Alter Intestinal Stem Cells. Submitted. 82. Xiaowen Chen, Yijun Qi, Chuanhe Zhu, Qun Wang*. Effect of Ultrasound on the Properties and Antioxidant Activity of Hawthorn Pectin. International Journal of Biological Macromolecules 2019, 131(1): 273-281. 81. Yang Yi, Hu Tu, Xue Zhou, Rong Liu, Yang Wu, Dan Li, Qun Wang, Xiaowen Shi, Hongbing Deng. Acrylic Acid-grafted Pre-plasma Nanofibers for Efficient Removal of Oil Pollution from Aquatic Environment. Journal of Hazardous Materials 2019, 371(1): 365-372. 80. Lawrance Chandra, Dana C Borcherding, Dawn Kingsbury, Todd Atherly, Yoko M Ambrosini, Agnes Bourgois-Mochel, Wang Yuan, Michael Kimber, Yijun Qi, Qun Wang, Michael Wannemuehler, N Matthew Ellinwood, Elizabeth Snella, Martin Martin, Melissa Skala, David Meyerholz, Mary Estes, Martin E Fernandez-Zapico, Albert E Jergens, Jonathan P Mochel, Karin Allenspach. Derivation of Adult Canine Intestinal Organoids for Translational Research in Gastroenterology. BMC Biology 2019, 17: 33. 79. Prerana Carter, Balaji Narasimhan and Qun Wang*. Biocompatible Nanoparticles and Vesicular Systems in Transdermal Drug Delivery for Various Skin Diseases. International Journal of Pharmaceutics 2019, 555(1): 49-62. 78. Cuixia Zhou, Dengyue Sun, Xin Sun, Chuanhe Zhu, Qun Wang*. Combining Ultrasound and Microwave to Improve the Yield and Quality of Single‐Cell Oil from Mortierella isabellina NTG1−121. Journal of the American Oil Chemists’ Society 2018, 95(12): 1535-1547. 77. Xuan Wei, Jianhong Liao, Zahra Davoudi, Hua Zheng, Jingru Chen, Dan Li, Xiong Xiong, Yihua Yin, Xiuxiang Yu, Jinghui Xiong, Qun Wang*. Folate Receptor-Targeted and GSH-Responsive Carboxymethyl Chitosan Nanoparticles Containing Covalently Entrapped 6-Mercaptopurine for Enhanced Intracellular Drug Delivery in Leukemia. Marine Drugs 2018, 16(11): 439-456. 76. Zahra Davoudi, Yijun Qi, Qun Wang*. Colonic Stem Cells Mediated Drug Delivery to Treat Ulcerative Colitis. Nanomedicine: Nanotechnology, Biology and Medicine 2018, 14(5): 1750. 75. Jiangwei Chen, Yingfei Zhan, Yabin Wang, Dong Han, Bo Tao, Zhenli Luo, Sai Ma, Qun Wang, Xiang Li, Fan Li, Congye Li, Hongbing Deng, Feng Chao. Chitosan/silk Fibroin Modified Nanofibrous Patches with Mesenchymal Stem Cells Prevent Heart Remodeling Post-myocardial Infarction in Rats. Acta Biomaterialia 2018, 80(1): 154-168. 74. Nitya Poovaiah, Zahra Davoudi, Haisheng Peng, Benjamin Schlichtmann, Surya K Mallapragada, Balaji Narasimhan and Qun Wang*. Treatment of Neurodegenerative Disorders through the Blood-brain Barrier using Nanocarriers. Nanoscale 2018, 10(36): 16962-16983. 73. Gu Cheng, Zahra Davoudi, Xin Xing, Xin Yu, Xin Cheng, Zubing Li, Hongbing Deng, Qun Wang*. Advanced Silk Fibroin Biomaterials for Cartilage Regeneration. ACS Biomaterials Science & Engineering 2018, 4(8): 2704-2715. 72. 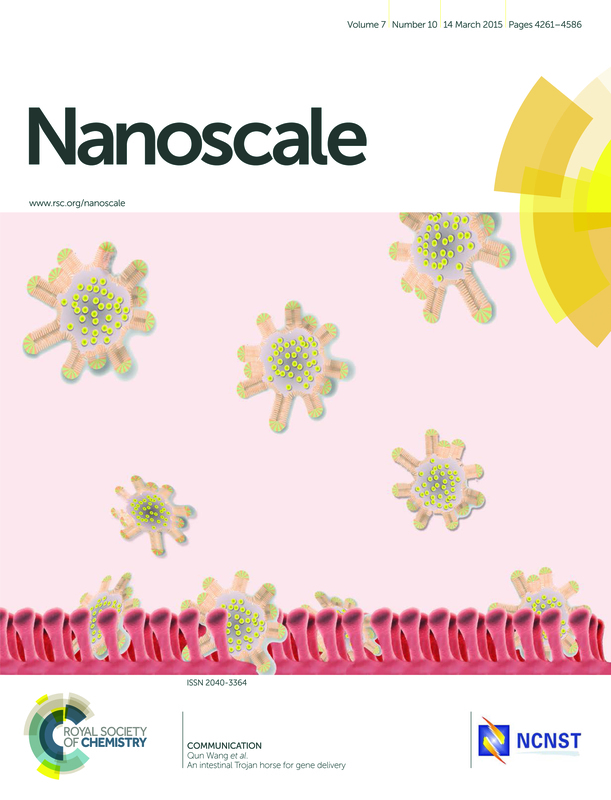 Yijun Qi, Enzheng Shi, Nathan Peroutka-Bigus, Bryan Bellaire, Michael Wannemuehler, Albert Jergens, Terrence Barrett, Yue Wu*, Qun Wang*, Ex vivo Study of Telluride Nanowires in Minigut. Journal of Biomedical Nanotechnology 2018, 14(5): 978-986. 71. Tenson Cai, Yijun Qi, Albert Jergens, Michael Wannemuehler, Terrence A Barrett, Qun Wang*. Effects of Six Common Dietary Nutrients on Murine Intestinal Organoid Growth. PLoS ONE 2018, 13(2): e0191517. 70. Gu Cheng, Jiajia Chen, Qun Wang, Xuewen Yang, Yuet Cheng, Zhi Li, Hu Tu, Hongbing Deng, Zubing Li. Promoting Osteogenic Differentiation in Pre-osteoblasts and Reducing Tibial Fracture Healing Time Using Functional Nanofibers. Nano Research 2018, 11(7): 3658-3677. 69. Martin Asama, Alex Hall, Yijun Qi, Branden Moreau, Heidi Walthier, Matthew Schaschwary, Blaine Bristow, Qun Wang*. Alternative Foaming Agents for Topical Treatment of Ulcerative Colitis. Journal of Biomedical Materials Research Part A 2018, 106(5): 1448-1456. 68. Zahra Davoudi, Nathan Peroutka-Bigus, Bryan Bellaire, Michael Wannemuehler, Balaji Narasimhan, Terrence A Barrett, Qun Wang*. Intestinal Organoids Containing PLGA Nanoparticles for the Treatment of Inflammatory Bowel Diseases. Journal of Biomedical Materials Research Part A 2018, 106(4): 876-886. 67. Rui Hu, Hua Zheng, Jun Cao, Zahra Davoudi, Qun Wang*. Synthesis and In Vitro Characterization of Carboxymethyl Chitosan-CBA-Doxorubicin Conjugate Nanoparticles as pH-Sensitive Drug Delivery Systems. Journal of Biomedical Nanotechnology 2017, 13(9): 1097-1105. 66. Rui Hu, Hua Zheng, Jun Cao, Zahra Davoudi, Qun Wang*. Self-Assembled Hyaluronic Acid Nanoparticles for pH-Sensitive Release of Doxorubicin: Synthesis and In Vitro Characterization. Journal of Biomedical Nanotechnology 2017, 13(9), 1058-1068. 65. Aqdas Noreen, Khalid M. Zia, Mudassir Jabeen, Shazia Tabasum, Fazal-ur-Rehman, Saima Rehman, Nadia Akram, Qun Wang. A Biorefinery Processing Perspective for the Production of Polymers. Algae Based Polymers, Blends, and Composites 2017, 335-370. Elsevier. 64. Zahra Davoudi and Qun Wang*. Intestinal Tissue Engineering with Intestinal Stem Cells. Smart Materials for Tissue Engineering: Applications 2017, 329-357. Royal Society of Chemistry. 63. Qun Wang*. 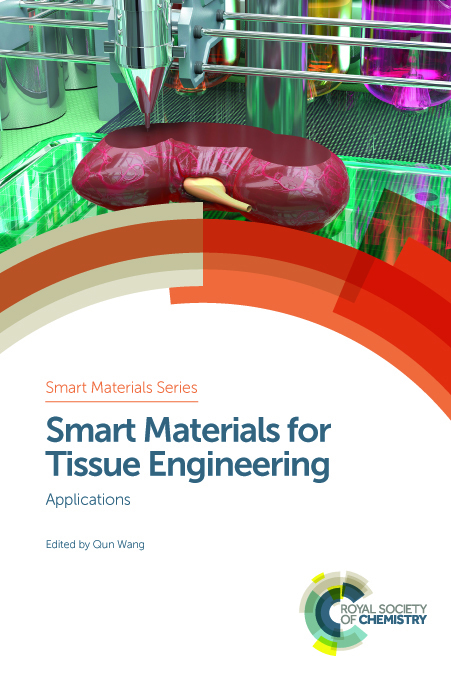 Smart Materials for Tissue Engineering: Applications 2017. Royal Society of Chemistry. 62. Shan Xie, Ke Ouyang, Yueming Lao, Peihao He, Qun Wang*. Heterostructured ZnFe2O4/TiO2 Nanotube Arrays with Remarkable Visible-light Photoelectrocatalytic Performance and Stability. Journal of Colloid and Interface Science 2017, 493(1): 198-205. 61. Zhehao Zhou, Wei Xiao, Xiaowen Shi, Bin Ding, Qun Wang, Yingfei Zhan, Hongbing Deng, Yumin Du. Pore Volume and Distribution Regulation of Highly Nanoporous Titanium Dioxide Nanofibers and Their Photovoltaic Properties. Journal of Colloid and Interface Science 2017, 490(1): 74-83. 60. Jin Di, Jicheng Yu, Qun Wang, Shanshan Yao, Dingjie Suo, Yanqi Ye, Matthew Pless, Yong Zhu, Yun Jing, Zhen Gu. Ultrasound-triggered Noninvasive Regulation of Blood Glucose Levels Using Microgels Integrated with Insulin Nanocapsules. Nano Research 2017, 10(4): 1393-1402. 59. Shangjing Xin, Zhaoyang Zeng, Xue Zhou, Wenjing Luo, Xiaowen Shi, Qun Wang, Hongbing Deng, Yumin Du. Recyclable Saccharomyces cerevisiae Loaded Nanofibrous Mats with Sandwich Structure Constructing via Bio-electrospraying for Heavy Metal Removal. Journal of Hazardous Materials 2017, 324(B): 365-372. 58. Zhijun Shi, Xing Gao, Muhammad Wajid Ullah, Sixiang Li, Qun Wang*, Guang Yang. Electroconductive Natural Polymer-based Hydrogels. Biomaterials 2016, 111(1): 40-54. 57. Qun Wang*. 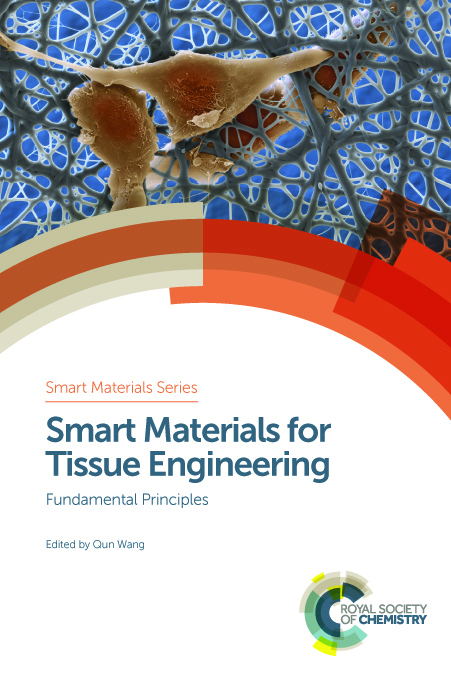 Smart Materials for Tissue Engineering: Fundamental Principles 2016. Royal Society of Chemistry. 56. Xueqiong Zhang, Hong Zhang, Liangquan Yin, Rui Hu, Tong Qiu, Yihua Yin, Xiong Xiong, Hua Zheng, and Qun Wang*. A pH-Sensitive Nanosystem Based on Carboxymethyl Chitosan for Tumor-Targeted Delivery of Daunorubicin. Journal of Biomedical Nanotechnology 2016, 12(8): 1688-1698. 55. Hua Zheng, Liangquan Yin, Xueqiong Zhang, Hong Zhang, Rui Hu, Yihua Yin, Tong Qiu, Xiong Xiong, and Qun Wang*. Redox Sensitive Shell and Core Crosslinked Hyaluronic Acid Nanocarriers for Tumor-Targeted Drug Delivery. Journal of Biomedical Nanotechnology 2016, 12(8): 1641-1653. 54. Thanh Xuan Nguyen, Lin Huang, Mario Gauthier, Guang Yang, Qun Wang*. Recent Advances in Liposome Surface Modification for Oral Drug Delivery. Nanomedicine 2016, 11(9): 1169-1185. 53. Linbin Jiang, Hu Tu, Yuan Lu, Yang Wu, Jing Tian, Xiaowen Shi, Qun Wang, Yingfei Zhan, Zuqiang Huang, Hongbing Deng. Spherical and Rodlike Inorganic Nanoparticle Regulated the Orientation of Carbon Nanotubes in Polymer Nanofibers. Chemical Physics Letters 2016, 650(1): 82-87. 52. Lallepak Lamboni, Mario Gauthier, Guang Yang, Qun Wang*. Silk Sericin: A Versatile Material for Tissue Engineering and Drug Delivery. Biotechnology Advances 2015, 33(8): 1855-1867. 51. Haisheng Peng, Xiaoying Liu, Guangtian Wang, Minghui Li, Kaitlin M Bratlie, Eric Cochran, Qun Wang*. 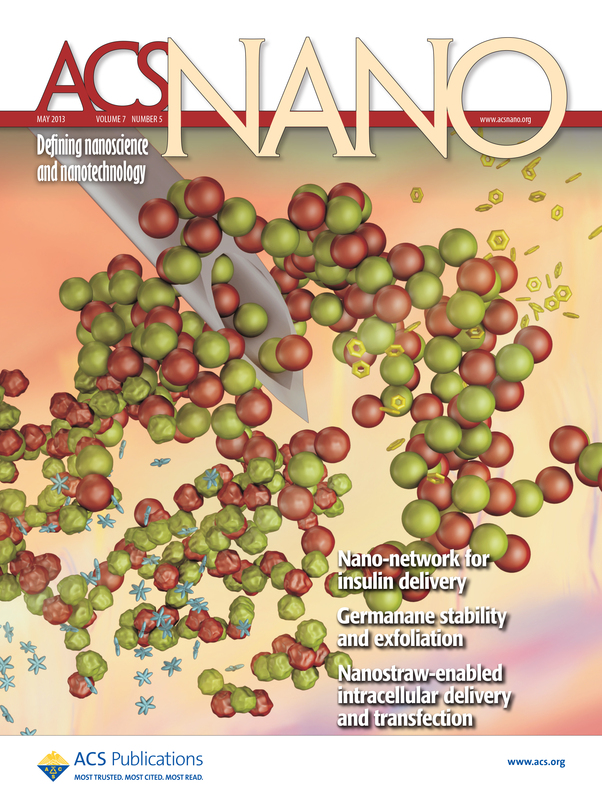 Polymeric Multifunctional Nanomaterials for Theranostics. Journal of Materials Chemistry B 2015, 3(34): 6856-6870. 50. Qun Wang, Hao Cheng, Haisheng Peng, Hao Zhou, Peter Y. Li, Robert Langer. Non-genetic Engineering of Cells for Drug Delivery and Cell-based Therapy. Advanced Drug Delivery Reviews 2015, 91(1): 125-140. 49. Jingyan Cao, Ran Wang, Ning Gao, Minghui Li, Xuyu Tian, Weili Yang, Ying Ruan, Chunlan Zhou, Guangtian Wang, Xiaoying Liu, Shukun Tang, Yan Yu, Ying Liu, Guangyu Sun, Haisheng Peng, Qun Wang*. A7RC Peptide Modified Paclitaxel Liposomes Dually Target Breast Cancer. Biomaterials Science 2015, 3(12): 1545-1554. 48. Haisheng Peng, Guangtian Wang, Naidan Chang, Qun Wang*. Applications of Porous Silicon Materials in Drug Delivery. Porous Silicon: From Formation to Application 2015, 2(18): 337-362. CRC Press, Taylor & Francis Group. 47. Dandan Hu, Shukun Tang, Haisheng Peng, Qun Wang*. The Bright Future of Liposome Mediated Drug Delivery. Biochemistry & Physiology 2015, 4(1): e133. 46. Peng Guo, Yijun Qi, Chuanhe Zhu, Qun Wang*. Purification and Identification of Antioxidant Peptides from Chinese Cherry (Prunus pseudocerasus Lindl.) Seeds. Journal of Functional Foods 2015, 19(A): 394-403. 44. Ufuoma Ikoba, Haisheng Peng, Haichun Li, Cathy Miller, Chenxu Yu and Qun Wang*. Nanocarriers in Therapy of Infectious and Inflammatory Diseases. Nanoscale 2015, 7(10): 4291-4305. 43. Haisheng Peng, Nitya Poovaiah, Michael Forrester, Eric Cochran, and Qun Wang*. Ex vivo Culture of Primary Intestinal Stem Cells in Collagen Gels and Foams. ACS Biomaterials Science & Engineering 2015, 1(1): 37-42. 42. Fangfang Song, Xiaoqiong Li, Qun Wang, Liqiong Liao, Chao Zhang. Nanocomposite Hydrogels and Their Applications in Drug Delivery and Tissue Engineering. Journal of Biomedical Nanotechnology 2015, 11(1): 40-52. 41. Ke Ouyang, Chuanhe Zhu, Ya Zhao, Leichao Wang, Shan Xie, Qun Wang*. Adsorption Mechanism of Magnetically Separable Fe3O4/graphene Oxide Hybrids. Applied Surface Science 2015, 355(1): 562-569. 40. Yingfei Zhan, Wen Zeng, Guoxia Jiang, Qun Wang, Xiaowen Shi, Zhehao Zhou, Hongbing Deng, Yumin Du. Construction of lysozyme exfoliated rectorite-based electrospun nanofibrous membranes for bacterial inhibition. Journal of Applied Polymer Science 2015, 132(8): 41496-41505. 39. Zuguang Shen, Yuqiong Luo, Qun Wang, Xiaoying Wang, Runcang Sun. High-Value Utilization of Lignin to Synthesize Ag Nanoparticles with Detection Capacity For Hg2+. ACS Applied Materials & Interfaces 2014, 6(18): 16147-16155. 38. Yu Yang, Shengpeng Wang, Yitao Wang, Xiaohui Wang, Qun Wang*, Meiwan Chen. Advances in Self-assembled Chitosan Nanomaterials for Drug Delivery. Biotechnology Advances 2014, 32(7): 1301-1316. 37. Haisheng Peng, Xunpei Liu, Ran Wang, Feng Jia, Liang Dong, Qun Wang*. Emerging Nanostructured Materials for Musculoskeletal Tissue Engineering. Journal of Materials Chemistry B 2014, 2(38): 6435-6461. 36. Yuan Lu, Xueyong Li, Xiaodong Zhou, Qun Wang, Xiaowen Shi, Yumin Du, Hongbing Deng and Linbin Jiang. Characterization and Cytotoxicity Study of Nanofibrous Mats Incorporating Rectorite and Carbon Nanotubes. RSC Advances 2014, 4(63): 33355-33361. 35. Xiaoying Liu, Haisheng Peng, and Qun Wang*. Surface Engineering of Liposomal Formulations for Targeted Drug Delivery. Chemical Engineering & Process Techniques 2014, 2(1): 1024-1026. 34. Fuyuan Ding, Hongbing Deng, Yumin Du, Xiaowen Shi and Qun Wang*. Emerging Chitin and Chitosan Nanofibrous Materials for Biomedical Applications. Nanoscale 2014, 6(16): 9477-9493. 33. Meifang Liu, Minghui Li, Guangtian Wang, Xiaoying Liu, Daming Liu, Haisheng Peng, and Qun Wang*. Heart-Targeted Nanoscale Drug Delivery Systems. Journal of Biomedical Nanotechnology 2014, 10(9): 2038-2062. 32. Dan Du, Naidan Chang, Shouli Sun, Minghui Li, Hui Yu, Meifang Liu, Xiaoying Liu, Guangtian Wang, Haichun Li, Xunpei Liu, Qun Wang* and Haisheng Peng. The Role of Glucose Transporters in the Distribution of p-aminophenyl-α-D-mannopyranoside Modified Liposomes within Mice Brain. Journal of Controlled Release 2014, 182(1): 99-110. 31. Meifang Liu, Minghui Li, Shouli Sun, Baoxin Li, Dan Du, Jialiang Sun, Fangyuan Cao, Haichun Li, Feng Jia, Tianfu Wang, Naidan Chang, Hui Yu, Qun Wang, Haisheng Peng. The Use of Antibody Modified Liposomes Loaded with AMO-1 to Deliver Oligonucleotides to Ischemic Myocardium for Arrhythmia Therapy. Biomaterials 2014, 35(11): 3697-3707. 30. Wei Li, Xueyong Li, Qun Wang, Yijun Pan, Ting Wang, Hanqing Wang, Rong Song and Hongbing Deng. Antibacterial Activity of Nanofibrous Mats Coated with Lysozyme and Layered Silicate Composites via Electrospraying. Carbohydrate Polymers 2014, 99(1): 218-225. 29. Zicheng Liang, Lei Zeng, Xiaodong Cao, Qun Wang, Xiaohui Wang, Runcang Sun. Sustainable Carbon Quantum Dots from Forestry and Agricultural Biomass with Amplified Photoluminescence by Simple NH4OH Passivation. Journal of Materials Chemistry C 2014, 2(45): 9760-9766. 28. Minghui Li, Hui Yu, Tianfu Wang, Naidan Chang, Jinqiu Zhang, Dan Du, Meifang Liu, Shouli Sun, Ran Wang, Haiquan Tao, Zhiying Shen, Qun Wang* and Haisheng Peng. Tamoxifen Embedded in Lipid Bilayer Improved the Oncotarget of Liposomal Daunorubicin in vivo. Journal of Materials Chemistry B 2014, 2(12): 1619-1625. 27. Minghui Li, Hongbing Deng, Haisheng Peng, Qun Wang*. Functional Nanoparticles in Targeting Glioma Diagnosis and Therapies. Journal of Nanoscience and Nanotechnology 2014, 14(1): 415-432. 26. Shangjing Xin, Xueyong Li, Qun Wang, Rong Huang, Xiaoli Xu, Zhanjun Lei, Hongbing Deng. Novel Layer-by-Layer Structured Nanofibrous Mats Coated by Protein Films for Dermal Regeneration. Journal of Biomedical Nanotechnology 2014, 10(5): 803-810. 25. Qun Wang*. Nanoparticles for Applications in Drug Delivery. Handbook of Functional Nanomaterials 2014, 3(6): 159-196. Nova Science Publishers, Inc.
24. Feng Jia, Xunpei Liu, Linheng Li, Surya Mallapragada, Balaji Narasimhan and Qun Wang*. Multifunctional Nanoparticles for Targeted Delivery of Immune Activating and Cancer Therapeutic Agents. Journal of Controlled Release 2013, 172(3): 1020-1034. 23. Qun Wang*, Zhen Gu, Syed Jamal, Michael S. Detamore and Cory Berkland. Hybrid Hydroxyapatite Nanoparticle Colloidal Gels are Injectable Fillers for Bone Tissue Engineering. Tissue Engineering Part A 2013, 19(23-24): 2586-2593. 21. Barlas Buyuktimkin, Qun Wang, Paul Kiptoo, John M. Stewart, Cory Berkland and Teruna J. Siahaan. Vaccine-like Controlled-Release Delivery of an Immunomodulating Peptide to Treat Experimental Autoimmune Encephalomyelitis. Molecular Pharmaceutics 2012, 9(4): 979-985. 20. Qun Wang, Syed Jamal, Michael S. Detamoreand Cory Berkland. PLGA-chitosan/PLGA-alginate Nanoparticles Blends as Biodegradable Colloidal Gels for Seeding Human Umbilical Cord Mesenchymal Stem Cells. Journal of Biomedical Materials Research Part A 2011, 96A (3): 520-527. 19. Xianwen Hu, Yufeng Tang, Qun Wang, Yan Li, Jianhong Yang, Yumin Du and John F. Kennedy. Rheological Behaviors of Chitin in NaOH/Urea Aqueous Solution. Carbohydrate Polymers 2011, 83(3): 1128-1133. 18. Qun Wang, Jinxi Wang, Qinghua Lu, Michael S. Detamoreand Cory Berkland. Injectable PLGA based Colloidal Gels for Zero-order Dexamethasone Release in Cranial Defects. Biomaterials 2010, 31(18): 4980-4986. 17. Qun Wang, Xianwen Hu, Yumin Du and John F. Kennedy. Alginate/Starch Blend Fibers and Their Properties for Drug Controlled Release. Carbohydrate Polymers 2010, 82(3): 842-847. 16. S. Janette Williams, Qun Wang, Ronal R. MacGregor, Teruna J. Siahaan, Lisa Stehno Bittel and Cory Berkland. Adhesion of Pancreatic Beta Cells to Biopolymer Films. Biopolymers 2009, 91(8): 676-685. 15. Ru Bi, Wei Shao, Qun Wang, Na Zhang. Solid Lipid Nanoparticles as Insulin Inhalation Carriers for Enhanced Pulmonary Delivery. Journal of Biomedical Nanotechnology 2009, 5(1): 84-92. 13. Qun Wang, Na Zhang, Xianwen Hu, Jianhong Yang, Yumin Du. Chitosan/Polyethylene Glycol Blend Fibers and Their Properties for Drug Controlled Release. Journal of Biomedical Materials Research Part A 2008, 85A (4): 881-887. 12. Jiesheng Ye, Qun Wang, Xuefeng Zhou and Na Zhang. Injectable Actarit-Loaded Solid Lipid Nanoparticles as Passive Targeting Therapeutic Agents for Rheumatoid Arthritis. International Journal of Pharmaceutics 2008, 352(1-2): 273-279. 11. Ru Bi, Wei Shao, Qun Wang, Na Zhang. Spray-Freeze-Dried Dry Powder Inhalation of Insulin-loaded Iiposomes for Enhanced Pulmonary Delivery. Journal of Drug Targeting 2008, 16(9): 639-648. 10. Xianwen Hu, Yumin Du, Guoxiang Li, Qun Wang. Preparation and properties of chitin/sodium alginate blend fiber. Journal of Wuhan University (Natural Science Edition) 2008, 54(6): 697-702. 9. Qun Wang, Na Zhang, Xianwen Hu, Jianhong Yang and Yumin Du. Chitosan/Starch Fibers and Their Properties for Drug Controlled Release. European Journal of Pharmaceutics and Biopharmaceutics 2007, 66(3): 398-404. 8. Qun Wang, Zhanfeng Dong, Yumin Duand John F. Kennedy. Controlled Release of Ciprofloxacin Hydrochloride from Chitosan/Polyethylene Glycol Blend Films. Carbohydrate Polymers 2007, 69(2): 336-343. 7. Qun Wang, Na Zhang, Xianwen Hu, Jianhong Yang, Yumin Du. Alginate/Polyethylene Glycol Blend Fibers and Their Properties for Drug Controlled Release. Journal of Biomedical Materials Research Part A 2007, 82A(1): 122-128. 6. Xianwen Hu, Yumin Du, Yufeng Tang, Qun Wang, Tao Feng, JianhongYang, and John F. Kennedy. Solubility and Property of Chitin in NaOH/Urea Aqueous Solution. Carbohydrate Polymers 2007, 70(4): 451-458. 4. Qun Wang, Yumin Du, Xianwen Hu, Jianhong Yang, Lihong Fan, Tao Feng. Preparation of Alginate/Soy Protein Isolate Blend Fibers Through a Novel Coagulating Bath. Journal of Applied Polymer Science 2006, 101(1): 425-431. 3. Qun Wang, Yumin Du, Lihong Fan. Properties of Chitosan/Poly (vinyl alcohol) Films for Drug Controlled Release. Journal of Applied Polymer Science 2005, 96(3): 808-813. 2. Lihong Fan, Yumin Du, Ronghua Huang, Qun Wang, Xiaohui Wang, Lina Zhang. Preparation and Characterization of Alginate/Gelatin Blend Fibers. Journal of Applied Polymer Science 2005, 96(5): 1625-1629. 1. Qun Wang, Yumin Du, Lihong Fan, Hui Liu, Xiaohui Wang. Structures and Properties of Chitosan-Starch-Sodium Benzoate Blend Films. Journal of Wuhan University (Natural Science Edition) 2003, 49(6): 725-730. 6. Biodegradable Colloidal Gels as Moldable Tissue Engineering Scaffolds, US 20090123509 A1 (U.S.A.). 5. Preparation and Application of Alginate/ Soy Protein Isolate Blend Fibers, ZL 200510018541.8 (China). 4. Preparation and Application of Alginate/ Gelatin Blend Fibers, ZL 200510018615.8 (China). 3. Preparations and Applications of Drug Loaded Chitosan/ Starch Blend Fibers, ZL 200710053709.8 (China). 2. Preparations and Applications of Drug Loaded Alginate/ Polyethylene Glycol Blend Fibers, ZL 200710053710.0 (China).